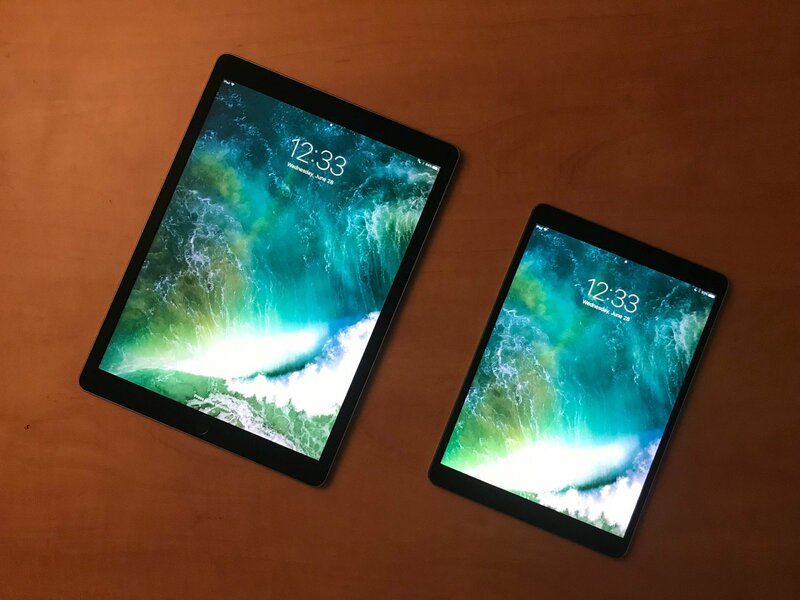 Apple’s latest pair of iPad Pro models are now on par with one another, with the new larger iPad Pro gaining the True Tone display, significant camera improvements with flash, and “Hey Siri” support, while the smaller iPad Pro gets a 10.5” screen upgrade, along with 4GB of RAM, USB 3.0 support, faster USB-C charging, and now includes a 12W power supply. New “ProMotion” display technology in both models doubles the refresh rate to 120Hz, improving scrolling and Apple Pencil performance. Both models catch up with Apple’s latest technology, sporting both front and rear cameras equivalent to the iPhone 7 and an A10X processor that provides a significant performance boost over both prior models. Battery life remains exceptional, and a new 512GB model provides for the highest storage capacity of any iOS device to date. Both models continue to be compatible with the current Apple Pencil and existing Smart Connector accessories. Cons: The 12.9” model is still a behemoth by iPad standards, making it more suitable as a tabletop or laptop device. Despite the reduced bezels, the 10.5” model is still slightly larger than the 9.7” model, limiting case options. 3D Touch support still remains absent on both models. Apple’s 12.9” iPad Pro, debuted in late 2015, represented the company’s first attempt to take the tablet in a new direction, with a larger model targeted toward creative professionals or those looking at the iPad as more of a laptop replacement. The “Pro” designation was not only clearly earned by the larger form factor, but also supported by a number of other significant improvements, such as support for Apple’s first-ever stylus (the Apple Pencil), a new Smart Connector that provided plug-in compatibility for the Apple Smart Keyboard and other third-party keyboard cases and accessories, and significant video and audio improvements. 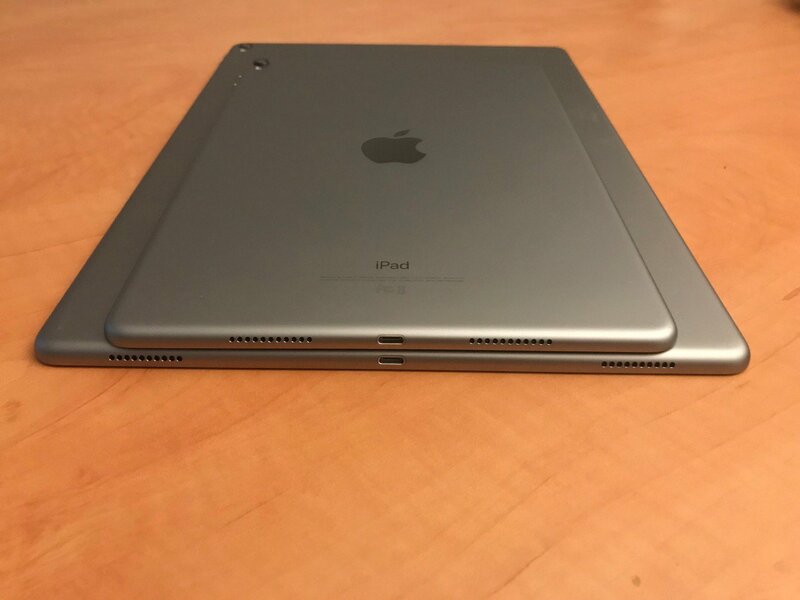 It was clear that the 12.9” iPad was a tablet to be contended with, and while originally there was the feeling that the “Pro” capabilities would remain the exclusive domain of Apple’s largest iPad, the company subsequently unveiled a 9.7” iPad Pro model six months later, including most of the core capabilities of its larger sibling, while also adding a new True Tone display and significantly better cameras, but lacking USB 3.0 support and faster USB-C charging. This actually created a rather odd dichotomy between the two iPad Pro models, with consumers being forced to choose between a larger display or a better display, a smaller tablet or one with faster charging and transfer speeds. To make matters even more confusing, the 9.7” iPad Pro also appeared to be slightly underclocked compared to the 12.9” model. It was a strange situation to have two iPad Pro models from the same generation with these kinds of feature disparities. 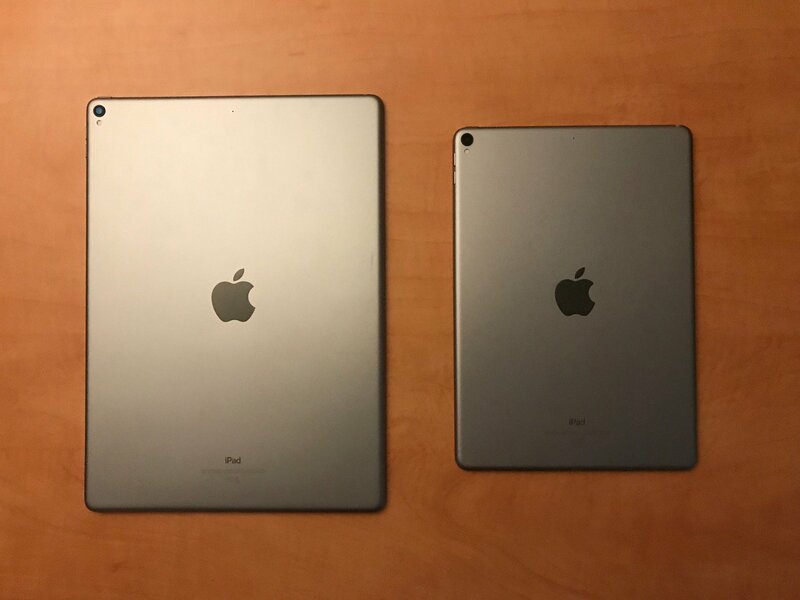 So with this year’s release of the 2017 iPad Pro models, it’s a refreshing surprise that Apple has actually brought both models to the same level; the only real distinction between the two new iPad Pro models is the size, although there are some minor differences in battery life and recharging times as well. Both models are also available in the same storage capacities, starting at 64 GB and then moving up from there to a 256 GB model and — for the first time — a 512 GB version, with Wi-Fi + Cellular options now available in all capacities. Basically, Apple has doubled capacities from the prior models at roughly the same price points. As a result, there’s really no reason to review the two new iPad Pro models separately — while each one is a different sort of upgrade from its prior model, they both provide the same capabilities and features.